The Netflix series' new episodes will start streaming July 4. 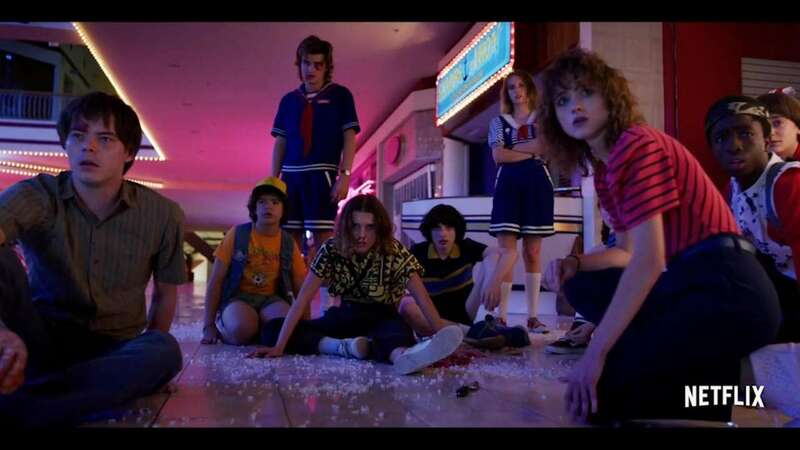 They're still kids — Mike's (Finn Wolfhard) declaration that "we're not kids anymore," notwithstanding. Hopper (David Harbour) still wants everyone to be safe. Good luck with that. And the new slimy mayor of Hawkins (played Cary Elwes) wants everyone to have a happy Fourth of July. The eight-episode season drops on Netflix on July 4. Both Netflix and the Duffer Brothers are pushing this hit into newish territory simply because both the first and second seasons have already exhausted the other storylines. Hence, that teen theme. The second ended on an up note — or more precisely, an Upside Down note. The prom at Hawkins Middle School — an homage to "Napoleon Dynamite" — wrapped with some preteen dance floor fun, including Dustin (Gaten Matarazzo) and Nancy (Natalia Dyer), and Eleven (Millie Bobby Brown) and Mike, when the camera pulled back to reveal the Upside Down world, with the Mind Flayer/Shadow Monster standing astride the Upside Down world Hawkins school gym. The trailer does do a good job of suggesting that the kids have grown, but in fact, perhaps not as much as one might think. The second season filmed in the fall of 2016 through early 2017, while the third season began production after the second wrapped, in April of that year. The third — and possibly next to last — season is set in 1985, or one year after the second.